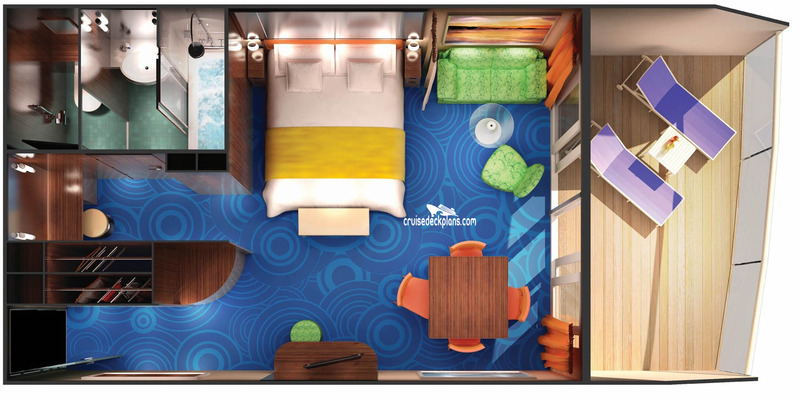 These are the typical floor plans for Penthouse Staterooms. Actual room layout and decor might be different. 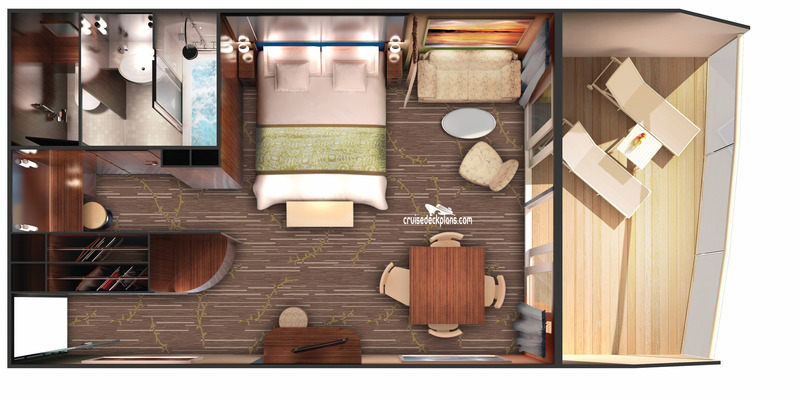 More Size Info: Cabin size for category SE ranges from 294 to 357 square feet with 144 to 266 square foot balcony. Cabin size for category SF is 286 square feet plus 65 square foot balcony. This is a Penthouse Stateroom. There are 20 of these types of cabins on this ship. The typical cabin size is 314 sqft (30 m2). The typical balcony size is: 134 sqft (13 m2). These types of cabins can sleep up to 4 people. Cabin size for category SE ranges from 294 to 357 square feet with 144 to 266 square foot balcony. Cabin size for category SF is 286 square feet plus 65 square foot balcony.